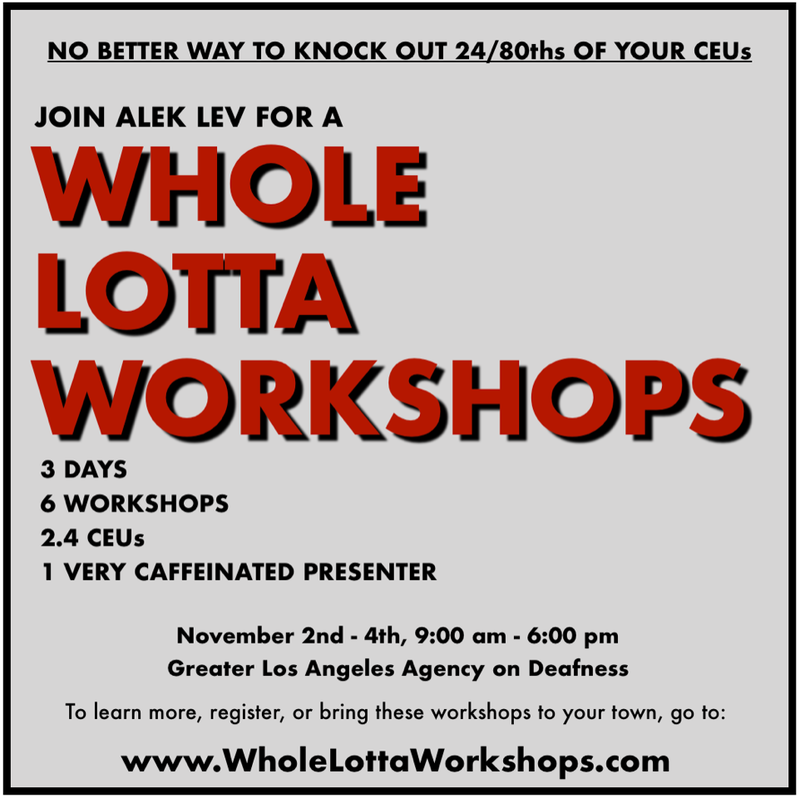 Over the course of a brief – but intense – weekend, Alek Lev (NIC-Master, CI/CT) will present six four-hour workshops on a range of subjects, including translation, the history of the English language, politics, acting skills for everyday interpreting, and feedback. There’s no better way to get 24/80ths of your CEU requirements out of the way. Hope you can make it!